As my month-long placement at the RAS comes to a close I will certainly be leaving with a sense of achievement. This week has seen a number of on-going tasks completed. I began by creating a new webpage to distinguish the Photographic Collection as a distinct category under the ‘Libraries and Archives’ section of the RAS website. The webpage is intended to provide researchers with a good idea of the character of the collection as well as practical guidance about how it can be accessed. In the hope of drawing attention to this diverse and the fascinating collection, we have also created a virtual museum showcasing highlights from the photographic archive at the RAS. 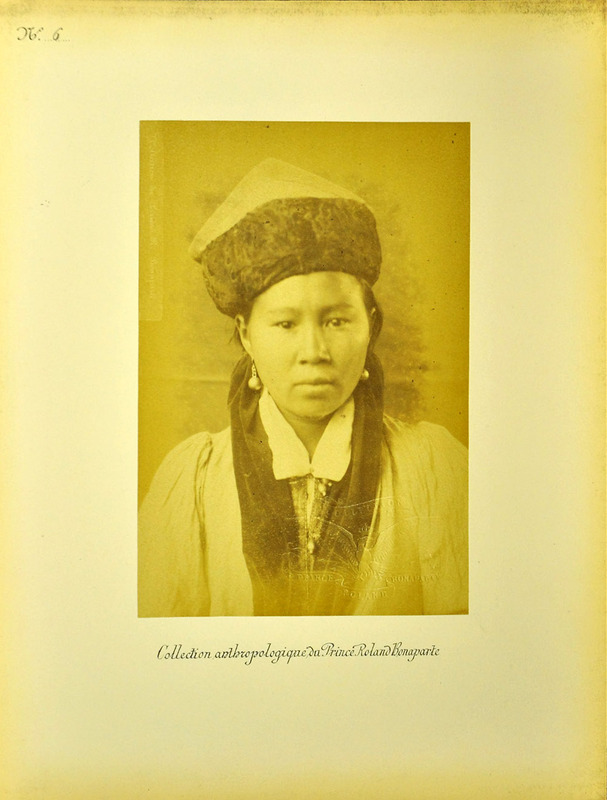 The first item to be exhibited is a portfolio of portraits of Kalmyk people donated by Prince Roland Bonaparte in 1883. 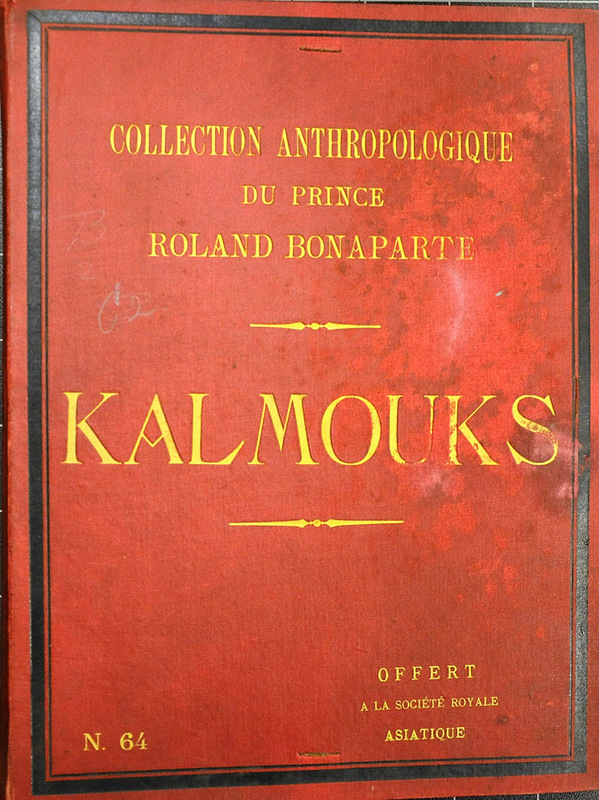 The portfolio belongs to a collection of anthropological studies produced by the French prince throughout the late nineteenth-century. I have been engrossed in researching the history of this item, which can be read about here. Alongside the digital display, I have also had the opportunity to set up a physical presentation of the portfolio and prints in the RAS reading room. Visitors are welcome to take a look at this intriguing material! Ruby photographing the new Photographic Display! 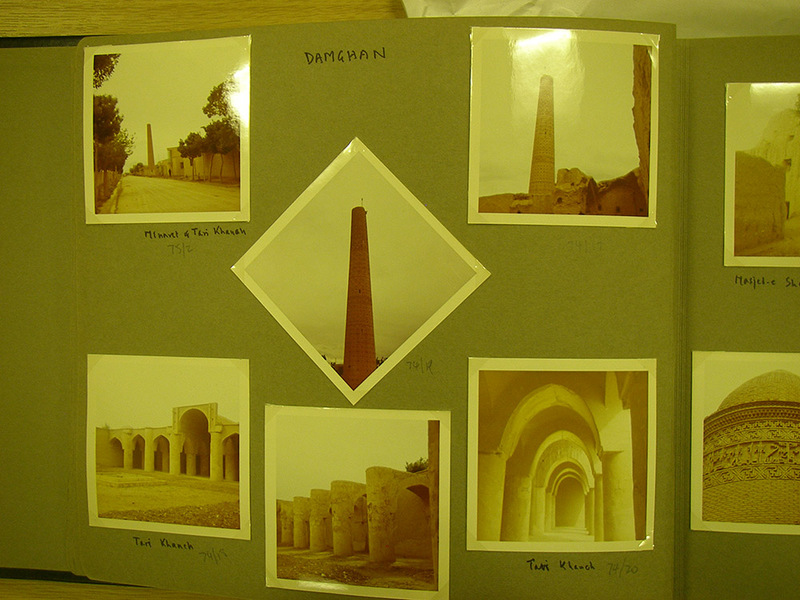 Throughout this week I have been packaging and writing cataloguing notes for a recent donation: nine albums of photographs taken by John Cecil Cloake during diplomatic posting to Iran and a visit to Afghanistan during the 1960s-70s. Having witnessed the arrival of this exciting collection on the second day of my placement, it has been insightful to participate in the process of archiving the new acquisition, from initial auditing to final shelving. To be able to finish my placement having made some sort of contribution is very gratifying. I am really grateful to Nancy and Ed for providing me with such an interesting and enjoyable placement opportunity. Thanks to them I have gained invaluable experience and a range of new skills that will certainly be of benefit when I graduate this year. It has been a real pleasure having Ruby work with us over the past month. Our knowledge and care of the photographic collections has been much improved and we look forward to continuing the work that she has begun until all the photographs are properly housed and catalogued. As Ruby mentioned in her post we have recently acquired a new collection of material. This was generously donated by RAS Fellow, John N. Cloake, and is material that belonged to his father, John Cecil Cloake. John Cecil Cloake was born in Wimbledon, London, England on 2 December, 1924, the son of Dr Cecil Stedman Cloake and Maude Osborne Newling. He was educated at King’s College School and served in the Royal Engineers in India and Japan during and after World War II. After the war he completed his education, studying History at Cambridge University. While in Saigon, in 1952, he met Margaret (“Molli”) Morris (1929–2008) from Washington, D.C., who was serving there in the United States Diplomatic Service, and they were married in Cambridge four years later in 1956. She died in 2008. Cloake was made a CMG (Companion of the Order of St Michael and St George) in 1977 and a Fellow of the Society of Antiquaries in 1988. Cloake and his wife moved to Richmond, London in 1962 and wrote several books on the history of that area. He died on 9th July, 2014. The donation consists of both photographs and archives. The photograph donation consists of 1 album of prints of Baghdad and Brazil, 1 album of prints of Afghanistan, 7 albums of prints of Iran and 1 collection of loose prints of Isfahan, Iran The contents includes architecture, topography and culture, and provide a real insight into the regions, particularly the collection of albums from Iran dating to his time there from 1968-1972. We are very grateful for this donation which will provide researchers with detailed information of both Azerbaijan and Iran. 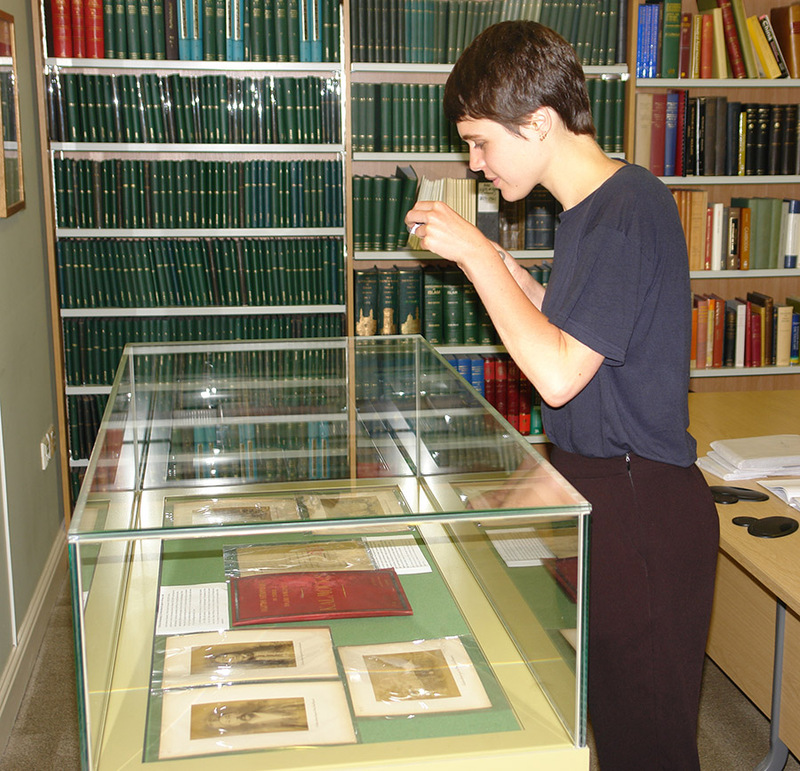 The archive catalogue is listed on Archives Hub and can be found here.